Mike Tribe attended both Durham and Cambridge universities as a student, followed by 3 years as Head of Biology at a London school, before taking up a Lectureship in biological sciences at Sussex University in 1966. Mike has always enjoyed the challenges of teaching, especially trying to communicate difficult scientific ideas to non-scientists. In 1978 he was elected a Fellow of the Royal Society of Biology for his innovative work in teaching projects and his research on ageing. In 1999, he was given an award for Excellence in Teaching by Sussex Alumni Society. During his career Mike was involved in many aspects of higher education. In the early years of the Open University he contributed to writing the first genetics course. Internationally he has undertaken consultancy work for the British Council in several countries, as well as publishing many papers and books. Mike is currently Chairman of Eastbourne U3A and actively contributes to study groups in Sussex, ranging from science, local history and classical music. He still tries to play the piano! Mike is enthusiastic about most sports. In his youth he was a useful athlete, being President of Durham University Athletic Union, where he also represented British Universities, and was awarded Blues for both athletics and cross country at Cambridge. He was also county champion (Buckinghamshire) in the mile, 3 miles and cross country; representing the county at Inter-County events. Prior to university, Mike undertook National Service in the RAF where he represented Fighter Command in the RAF Championships. There are a variety of topics that Mike is enthusiastic to talk about. Most subjects can stand alone, but in some cases be collated into an underlying theme. Mike's aim is to inform, but also entertain. Humour is important and audience enjoyment is key. Mike currently has around 16 different talks. He particularly enjoys talking about famous scientists and sports personalities. He also likes to talk about ageing (a subject that affects us all! ), as his own research was in this field for a number of years. 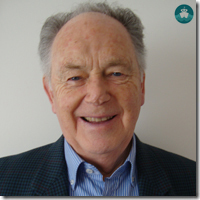 Mike has given lectures and talks for over 50 years to a variety of audiences: to university students in the UK, USA and Canada; young scientists in schools, U3A, Probus, WI,workshops abroad in several different countries, and cruise line speaking. Scientific voyages that changed our way of thinking about life on earth. 1. Alexander von Humboldt's travels to the equinoctial regions during 1799-1804 (the journey around the Caribbean & South America that inspired Darwin). Humboldt was an oceanographer, meteorologist, geographer and scientist. He was a revolutionary thinker about the way in which the environment and life forms interact and was meticulous in his observations and measurements. 2 & 3. Charles Darwin and the voyage of the 'Beagle' (2 lectures). Part 1. The background to the voyage; the boat; the crew & passengers; the journey from Plymouth to Brazil, Uruguay,Argentina and Tierra del Fuego. Part 2. The journey from Chile to the Galapagos Islands; to New Zealand, Australia and Tasmania via Tahiti. The homeward journey back to Falmouth via Cape Town, St Helena and Ascension Island. How the 5 year voyage called into question the views that Darwin held at the start of the journey and eventually led to his proposal for the theory of evolution. Both talks are extensively illustrated from archive material. 4. Alfred Russel Wallace - the often forgotten man Wallace was the joint proposer with Darwin of Evolution by Natural Selection and the father of biogeography, especially of SE Asia. He too had his sailing mishaps on leaving Brazil!. Darwin could be regarded a a 'lucky' man; Wallace however, could be considered an 'unfortunate' man. The talk looks at the background of the two men and their contribution to science, as well as the voyages and expeditions undertaken by Wallace. Why do we talk about 'Darwinism' but never 'Wallacism'? 5. How long will we live? Why do we grow old? Why do we live as long as we do? Would we really want to live forever? 6. Theories of ageing along with a light-hearted view of old age. "Mavericks in Science" - scientists who think outside the box often against the accepted views of the time. 8. Dr James Lovelock (inventor, writer, environmentalist, climate scientist and author of the 'Gaia hypothesis'). 9. Prof Lynn Margulis (an American microbiologist who transformed our thinking about the origin of life and the evolution of cells). 10. Stockholm is the location for Nobel Prize Awards. Alfred Noble was a remarkable man; the inventor of dynamite, but a great philanthropist. This talk looks at the origin of the prizes and focuses on the Chemistry prize & the prize for Physiology & Medicine, particularly the prize winners that the speaker has met and their research. Mike's keen interest in many sports has led him to talk about "sporting heroes" of the amateur era and now the professional one. 1. "The Magic Mile" - the origin and history of the mile track race from the seventeenth century to 1954 when Sir Roger Bannister broke the 4 minute barrier. Some surprises here! 2. "The Magic Mile" a history of the track race from 1954 to 1999. The mile has been described as 'the perfect distance'; neither too short, nor too long. Indeed a drama played out over four laps of the track. The name 'mile' has its origins from Roman times. These two extensively illustrated talks, including some video clips, introduce many famous athletes from the past and from many different countries along with the presenter's involvement as an athlete in the 1950s and 60s. 3. "'The Czech Locomotive' - Emil Zatopek - not only an Olympic legend but a remarkable man"
His life is remarkable for triumph over adversity and of his patriotism, sportsmanship and kindness to others. 4. "Great runners, great races and great rivalries". Scandinavia has a long tradition of track and field athletics, especially middle and long distance running. Many but not all of the great rivalries have come from Great Britain as well as the Baltic countries. This talk explores the history of some of these events. 5. "Remarkable Olympic stories from the Baltic". Some remarkable stories have emerged from the Olympic Games held in the Baltic cities of Stockholm (1912), Antwerp (1920), Amsterdam (1928), Berlin (1936), Helsinki (1952) and Moscow (1980), which audiences will find intriguing. 6. The controversial Berlin Olympics of 1936 - Hitler's Games. Several Olympics have been controversial but none more so than Berlin in 1936. The Games were extremely well organised and the facilities for the athletes outstanding; also several innovations took place, but it was a major propaganda exercise for the Nazi regime with sinister events going on in the background. (This has been a very popular talk). 7. Los Angeles 1932 and 1984. The city has twice been host to the Olympic Games. A comparison is made between the two occasions with some fascinating stories relating to the history of the times. A history and origin of the marathon along with some remarkable winners including some old athletic friends who were great marathon runners, notably Ron Hill, Tim Johnston & Eamonn Martin. 6 talks given on Saga Pearl II (42 day Caribbean cruise) - November to December 2016.